Jeremy Tolcon formed Tolcon Legal in October 2014 and has over 20 years’ experience in the practice of Family Law. Having practiced both Commercial Law and Family Law, Jeremy is focused on reaching commercially pragmatic results for his clients. Jeremy is committed to providing a personalised service, with the common-sense and creative solutions that only a boutique Family Law firm can provide. Jeremy brings his wealth of knowledge to each and every matter. He graduated with a Bachelor of Business (Marketing) from the now Edith Cowan University in 1988. In 1993, Jeremy gained a Bachelor of Laws from Bond University, having completed the NAB Graduate Development Program and employment from 1989 to 1991. Jeremy was admitted to the Supreme Court of Western Australia in 1995, after completing his articles at an established and multidiscipline firm, where he was made a Partner in 1997. Jeremy is a member of the Family Law Practitioners’ Association of Western Australia and the Law Society of Western Australia. Lucy graduated with a Bachelor of Laws and a Bachelor of Arts (Psychology) from Murdoch University in 2012. Lucy was admitted to the Supreme Court of Western Australia in early 2013, after which she commenced as a solicitor practicing in the area of Family Law at an established multidiscipline practice. 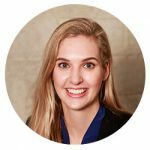 In early 2017 Lucy began the Master of Laws program with the College of Law with an anticipated completion date of 2019. Child support and spousal maintenance matters. Lucy regularly appears at the Family Court of Western Australia. She is experienced in working with clients to navigate the legal processes involved in Family Law proceedings. Lucy is a member of the Family Law Practitioners’ Association of Western Australia and the Law Society of Western Australia. Committed to providing a personalised service, with the common-sense and creative solutions that only a boutique Family Law firm can provide. 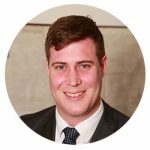 Alistair is a graduate of the University of Western Australia, having completed a Bachelor of Laws and Bachelor of Arts (History) in 2014. Alistair spent his gap year volunteering at a wildlife conservation reserve in Botswana, prior to commencing a volunteer placement at Aboriginal Legal Aid in Alice Springs. Alistair was admitted to practice in the Supreme Court of Western Australia in mid-2016. Drafting Wills and obtaining grants of probate. 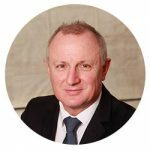 Alistair is a member of the Family Law Practitioners’ Association of Western Australia and the Law Society of Western Australia. Elizabeth graduated with a Bachelor of Laws and a Bachelor of Arts (Politics & Journalism) from the University of Notre Dame in 2014. Elizabeth was admitted to the Supreme Court of Western Australia in early 2015, after which she commenced as a Legal Associate to a Judge of the Family Court of Western Australia. Elizabeth gained a wealth of procedural knowledge and insight into the Family Court proceedings in this role. 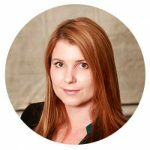 After leaving the Family Court in 2017, Elizabeth joined Tolcon Legal. Elizabeth has a particular interest financial matters and is experienced in drafting Wills for clients. Elizabeth is a member of the Family Law Practitioners’ Association of Western Australia and the Law Society of Western Australia. 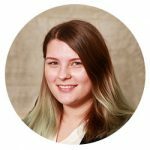 Samantha joined Tolcon Legal in early 2015 as an administrative assistant. Samantha graduated from Curtin University, where she obtained a Bachelor of Arts majoring in Creative Writing. Samantha is a member of the Murdoch University Dive Club and enjoys writing, playing board games and being outdoors with her one year old Border Collie, Remi.